Some call them Ride Bells, and others call them Guardian Bells, Lucky Bells or Legend Bells. Given to a fellow rider it is meant as a good luck charm and to wish another rider safe travels ahead. Gremlins live on motorcycles because they love to ride and are the cause of most bikers’ problems, like when the tires go flat, the horn won’t work or any several hundreds of things that can go wrong. Evil road spirits can’t live near a bell because they get trapped in the hollow of the bell. Their hearing is hypersensitive so the constant ringing in a confined space drives them insane. If you steal a bell from a biker, you steal all the gremlins and the evil that comes with them. It is ill advised that you steal a bell, the consequences could be dire. 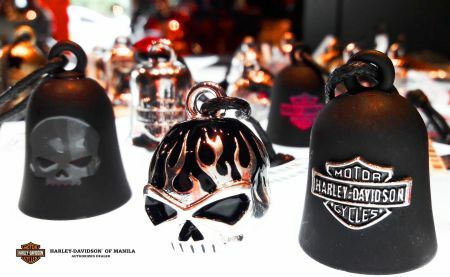 Ride bells are more of a tradition than a superstition amongst bikers… so they make a great gift for the rider in your life! Check out our great selection of ride bells now available in our showrooms.